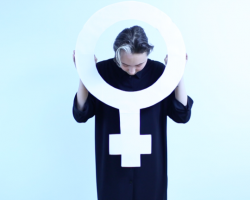 Women reclaim their bodies and lives and take us on a journey through their experiences. The film pass ”My body, my experience” presents a wide range of stories, that allow the voices of women and the questions raised by them to be heard: How does it feel to be adopted and how can dance liberate you? What are the specific expressions of sexism in everyday life? 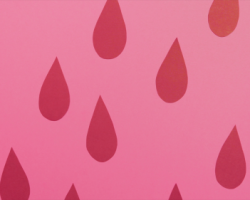 Why is it a taboo to talk about menstruation? How is it to live in solely female communities? Do we ever accept our own bodies, size and hair? Do others? Who decides over a pregnancy? – And are we all alike alone? Eight directors give their own answers. Leaving the bubble is a documentary portrait of Jona, who has a firm political opinion and worldview. Jona’s life is very centred around feminism and anti-rascism, which is reflected among the people she surrounds herself with. Conflicts do arise when Jona leaves this very safe space (or bubble) and have to face the world where not everybody are a feminist until proven otherwise. 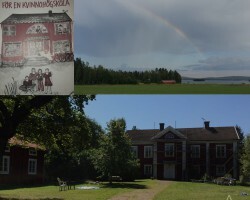 In the documentary Liberating Paradise, Zayera Khan gives an insight into the unique environment created in 1981 at Kvinnohojden, a feminist course and guest farm in Dalarna, Sweden. During the summer of 2014 the guests and course participants share their individual relationships with Kvinnohojden, where different female generations meet, exchange knowledge and experiences. A girl who has a hard time expressing herself, finds her voice through dance, and takes us on a journey into her existential reflections about life and who she is. “Why is this even a topic of conversation?” Period Stories is a crowd sourced documentary film featuring people from around the world breaking the menstrual taboo by sharing their period stories on the big screen. February is a short film on the subject of abortion from a young mans point of view. He arrives in Paris to move in with his girlfriend and soon after, their world is turned upside down; what happens to a relationship when you are confronted with feelings that you thought you would never have? Onesize is about two friends whose bodies are on different sides of the female beauty ideal. They trash talk men, drink and dance one night before going out. When Agnes accidently burns off a ringlet they suddenly face the subject of ugliness and feelings that have been covered now reach the surface. We see people eating, drinking, walking the streets or driving in their cars. Their lives seem to be normal, but they are not. No matter how old you are, some things will always remain absurd. Questions, doubts and thoughts will grow with us. Eeva needs to make a decision but in the meantime the easiest things to do is drink milk and eat strawberries. What is beauty? In our current times the ideal is literally slim. How do you like my hair is an essayistic and personal documentary about a girl who is determined to learn to accept herself as she is, with hairy legs and a liking for men with big noses. With humour and vulnerability, the filmmaker herself tells the story. This is a tale about finding beauty beyond the well-trodden path; a beautiful love story in which a big nose ploughs through body-hair.